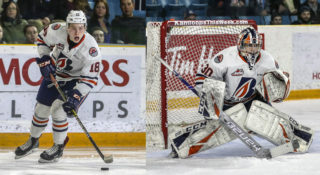 Calgary, AB – The Western Hockey League announced today that Kamloops Blazers goaltender Dylan Ferguson has been named the Vaughn WHL Goaltender of the Month for December 2016. Ferguson, an 18-year-old product of Lantzville, BC, maintained a record of 6-3-0-1 during the month of December, with a stellar 2.44 goals-against average and .933 save percentage. 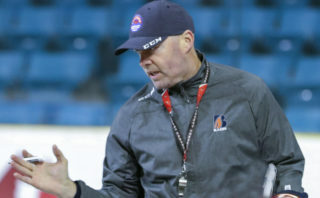 On two occasions, Ferguson made more than 40 saves, including 47 stops on Friday, December 16, in a 5-3 loss at Medicine Hat as well as 46 saves on Wednesday, December 28, in a 5-1 win versus Kelowna. In 10 appearances during the month of December, Ferguson surrendered two goals or fewer on seven occasions, earning first star honours twice, second star recognition three times and third star honours once. 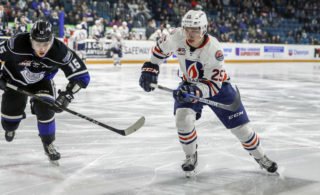 With teammate Connor Ingram away representing Canada at the 2017 IIHF World Junior Championship, Ferguson took over the Kamloops crease and had an immediate impact, earning WHL Goaltender of the Week honours for the week ending December 11, 2016. The 6-foot-2, 193-pound goaltender ranks among the WHL leaders in a number of statistical categories, including fifth in SV% (.916) and 10th in GAA (2.97). In his second WHL season, Ferguson is 9-6-0-1. 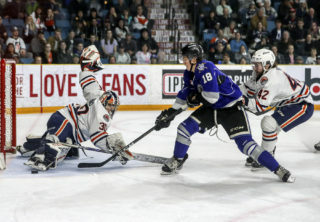 Selected in the eighth round (166th) by the Kamloops Blazers at the 2013 WHL Bantam Draft, Ferguson has accumulated a record of 13-16-0-1 with a 3.51 GAA, .898 SV% and one shutout in 33 career WHL regular season appearances. Ferguson is eligible for the 2017 NHL Draft.